National Geographic DNA Test Reviews: Have Any Neanderthal DNA? Home > Health > DNA > National Geographic DNA Test Reviews: Do You Have Neanderthal DNA? National Geographic DNA Test Reviews: Do You Have Neanderthal DNA? Want to time travel back to ancient times? If only! Perhaps the next best thing is taking a DNA test and one of the ones you may consider is National Geographic’s Geno 2.0 DNA test. You can learn where your ancient ancestors roamed the Earth and even discover if you have any Neanderthal DNA. What Other DNA Tests Should I Consider? Mothers Day 2018 Sale: Buy 2 or more GENO 2.0 Kits and get them for $69.95 each - regularly priced at $199.95 each! Neil Gargis, our editor, was chosen to participate in the NatGeo Geno 2.0 project. Read below to learn about his experience with this DNA test. 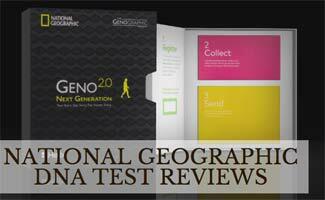 I was very excited to be offered the chance to have my DNA tested with the NatGeo Geno 2.0 project for this review. I ordered the kit and received it only 4 days after ordering. The testing kit was well packaged, and the instructions were clear. I provided the saliva sample, which I will say is a little more saliva than I would have thought they’d need. Collecting the sample took a few minutes but at the end of the day, it wasn’t that difficult. I placed the tube of saliva inside the provided plastic bag and then into the postage-paid return box. I dropped the box off at my local post office. Five days later I checked the National Geographic website and found that my test had been received. Thank you for your purchase and recent DNA saliva sample submission to Helix. Helix strives for all samples to be processed quickly, providing high-quality data and results. In rare cases, a sample will fail during processing and require a new sample be submitted. Your sample has been identified within this group and a new sample will be required to continue with the sequencing process. I’m a little disappointed. I was very careful to follow their instructions to the letter, so I’m not really sure what went wrong. In any case, a new kit is on the way at no charge to me. I’ll submit that sample and, once my results are in, I’ll report back on that experience. After submitting my second sample and waiting the required 6 weeks, I finally got my results. The Nat Geo 2.0 test did exactly what it purported to do. It traced my ancestors back tens of thousands of years. It was very interesting to explore how and when my ancestors migrated out of Africa and into Europe. I really enjoyed the way that National Geographic put this together in a page by page story for both my paternal and maternal lines. Here are a couple of screenshots from my story to give you an idea of what to expect if you decide to test with NatGeo 2.0. 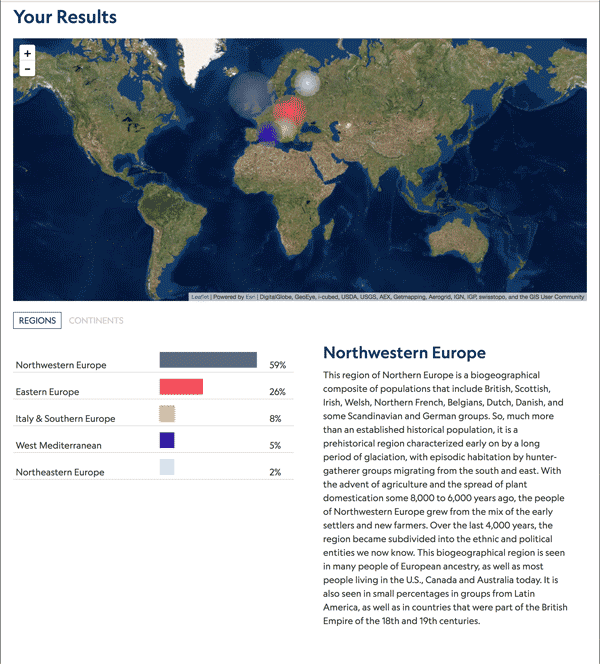 Here is a screenshot from my regional ancestry results. Please note that these results were limited to one page and are nowhere near as in-depth as the deep ancestry results above. 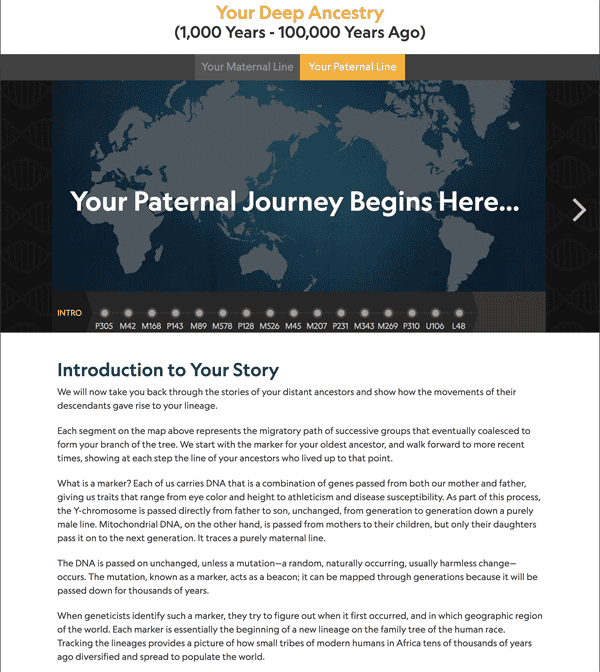 Overall, I really enjoyed my first DNA testing experience with National Geographic NatGeo 2.0. The results provided were much more in-depth than I thought they would be. It also makes me feel good to contribute to the human genome project, and help scientists understand more about human DNA. I would definitely recommend the NatGeo 2.0 test to those that are interested in learning more about their deep ancestry. Check out Neil’s first-hand experience opening the test kit in this quick time-lapse video. The National Geographic Geno 2.0 test is best for people who want a deep dive into their ancient ancestors, but it does have its limitations. You won’t find out any health-related information or discover any relatives. By taking this test, however, you’re contributing to global scientific advancements in understanding the human race’s shared past. Check out our Best DNA Test article to see reviews of other DNA tests you can take at home. What mysteries do you hope to uncover through a DNA test?